Stay in a room in a hostel Janacek Mitte in Brno. 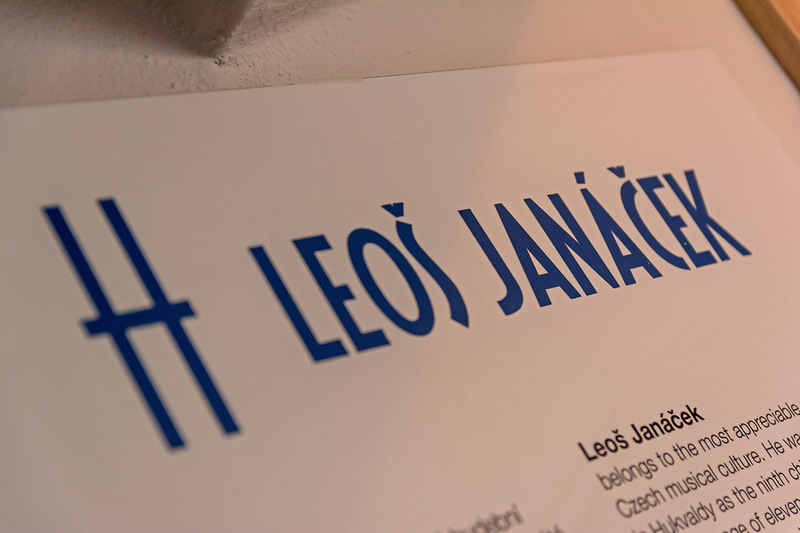 Leoš Janáček belongs to the most appreciable personalities of Czech musical culture. He was born on the 3rd of July 1854 in Hukvaldy as the ninth child of a village schoolmaster. At the age of eleven he came to Brno where he gained sound musical education in the foundation of the old-town monastery in Brno and he joined all his life with Brno. From 1870's he carried out continuous extension, organisation, educational and artistic activities accompanied by his own composing work in this at that time provincial town. The inception of Janáček's composing was affected by his studies of Moravian folklore and later by his interest in psychological aspects of human speech. Upon these bases his individual way of music expression crystallised with its typical features of shortcut musical ideas and sharp contrasts of their connecting. The very domain of Janáček's acti­vities was the opera. He composed nine operas the third of which – Jenufa (Her Stepdaughter, Její pastorkyňa) – was being created for nine years and just like the author himself had to wait for praise for very long. However, after its staging in Vienna in 1918 it was the origin of Janáček's worldwide fame. Only then, in the last decade of his life, when Janáček's facture was finally recognized, he composed in fast sequence his most distinguished works which significantly enriched repertoire of opera houses (Katya Kabanova, The Cunning Little Vixen, The Macropulos Affair and From the House of the Dead) and concert halls (The Diary of One Who Disappeared, two String Quartets, the wind sextet called Youth, Sinfonietta, Glagolitic Mass and many others). The composer died on the 12th of August 1928 in Ostrava, he is buried at the Central Cemetery in Brno. Janáček Academy of Music and Performing Arts in Brno (JAMU) was named after him as well as the Janáček Theatre whose building designed by Jan Víšek and opened in 1965 is situated in the park of Koliště by the Rooseveltova Street. Janáček's music also affected other genres than just classical music. In 1970 a composition called Knife Edge appeared on the Emerson, Lake & Palmer debut album where Janáček is listed as the composer.